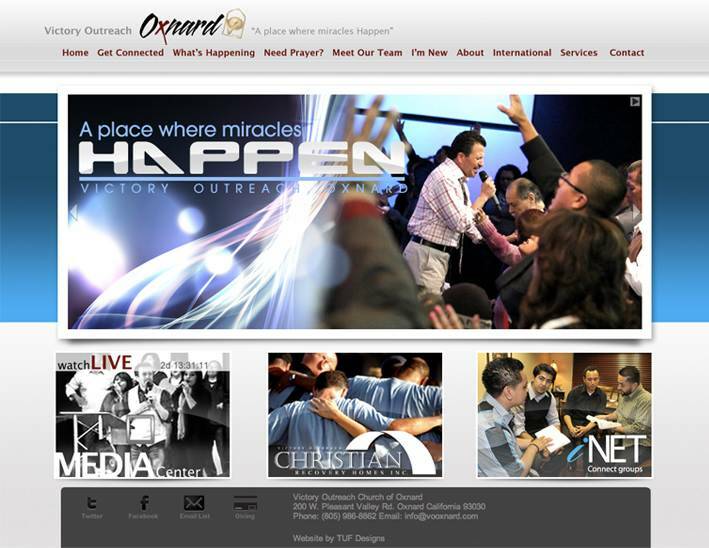 Check out the beautifully designed website of Victory Outreach Church of Oxnard! They are doing some BIG THINGS for the LORD! Check this website out, you will be encouraged to see what this ON FIRE congregation is doing to spread the Gospel! Pastor Fernie & Veronica Franco. Visit Victory Outreach Church of Oxnard Now! Victory Outreach is an international, church-oriented Christian ministry called to the task of evangelizing and discipling the hurting people of the world, with the message of hope and plan of Jesus Christ. This call in- volves a commitment to plant and develop churches, rehabilitation homes and training centers, in strategic cities of the world. Victory Outreach inspires and instills within people the desire to fulfill their potential in life with a sense of dignity, belonging, and destiny. Victory Outreach works cooperatively with others of mutual purpose in accomplishing the task before us. Fernando Ernie Franco was born on September 19, 1970 to Mr. and Mrs. Armando Franco. Fernando was raised in the city of Oxnard, and attended Curren Elementary, Fremont Middle School, and Oxnard High. Before Receiving the Lord as his personal Savior, Fernando got caught up in the “Party Scene” and was a D.J. at the age of 14 years old. It was through that lifestyle that he was introduced to Cocaine. At the age of 16 years old Fernando had several heart attacks do to cocaine usage and found him self dying in the back yard of his home in Colonia. It was there that Fernando cried out to The Lord and said “Lord if you save my life I will do anything for you”. Fernando has stood true to his promise. He gave his heart to Lord and began getting involved in different ministries in the church. Bob and Diane Herrera were the Pioneering Pastors of Victory Outreach Oxnard from 1985-1998. Fernando served under them and was able to lead many different ministries in the church: Youth ministry, Worship, Office administration, Christian Education. Also, Fernando and his wife lead the Christian Recovery Women’s home. At the age of 22 Fernando married his bride Veronica and at the age of 25 Fernando Franco received his ministerial license with Victory Outreach International. It was at the same world conference in 1989 that God had spoke to both Fernando and the opportunity came in 1998 for Fernando to take over the church that he was saved in, loved dearly and faithfully served in for several years. On January 1st 1999 Fernando was selected by the elders and founders (Sonny Arguinzoni Sr.) to serve as Senior Pastor of Victory Outreach Church of Oxnard and was elected president of Victory Outreach Oxnard Incorporated. Fernando has been serving the Lord at the same church for 24 years and has been full time in ministry for 22 consecutive years. 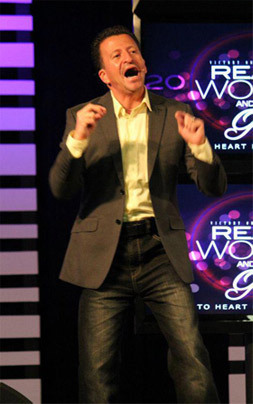 Fernando holds a degree in “biblical studies” with Latin American bible institute. (L.A.B.I) a degree in “biblical studies” with Victory Education Training Institute (V.E.T.I.) and certificates in “Leadership” with Azuza Pacific University.